Very cheap, only AU$288 including delivery. It arrived a couple of days ago. The sky was a bit murky yesterday, but today brilliant sunshine, totally blue sky, not even a wisp of cloud, ambient temperature cool, low 20s, location Perth WA, date Wednesday April 24 2019. I set it up about 10.00am, but was only getting about half of the expected current. Hmmm. I used a digital multimeter to confirm that the in-line 150A meter was reasonably accurate, yes it is. That is also a recent purchase, so at least that works! 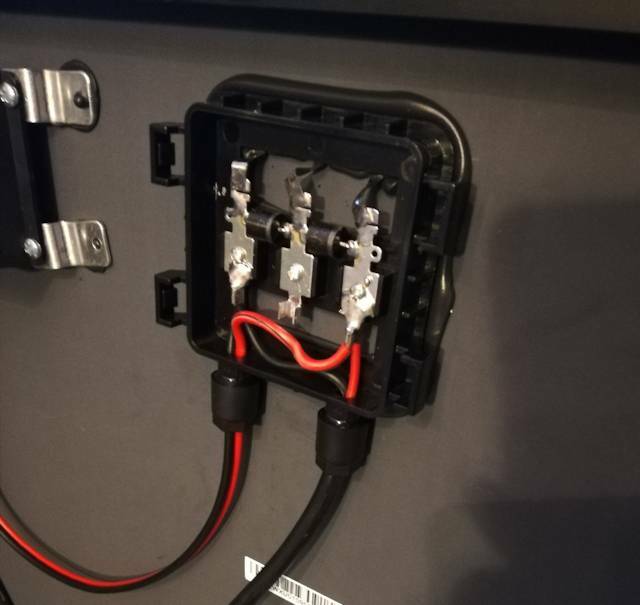 ...with a jumper lead, I can now connect either panel to the load. The right-hand panel gives about 3.5A at the peak power point. Drawing more, bringing it down to 11.64V get 4.69A. The left-hand panel also gives about 3.5A at peak-power, and I loaded it some more, down to 10.98V at 4.69A. As a final check, I also measured the short-circuit current out of each side, directly on the junction-box terminals, and yeah, only about 4.7A from each (measured mid-afternoon, with the sun a bit lower in the sky. Midday it would have been a tad higher). So, yeah, they are crap panels, giving less than half of that claimed. They have labels on the back of each side, stating peak power at 18.4V @ 6.8A and short-circuit current of 7.09A. What really bothers me about this, is that most people would not know. 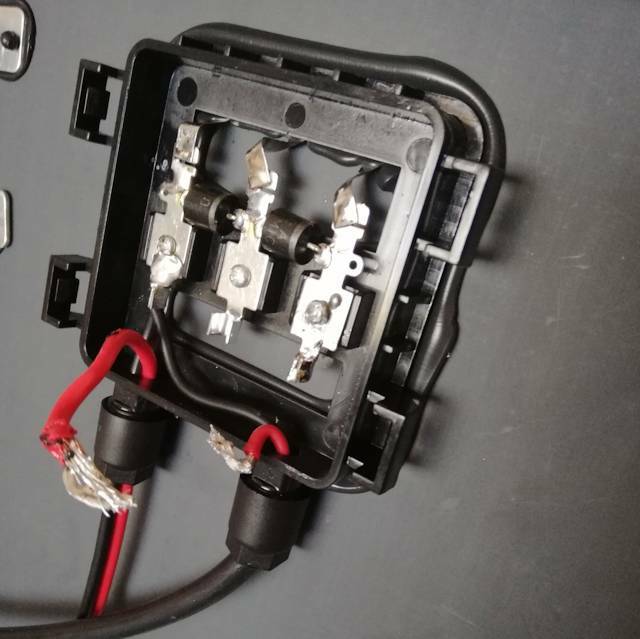 They would connect the panel to the battery, using the supplied crocodile clips, and think it is working. Well it is, except they are getting far less power than advertised. The problem is, this overstating of power output is endemic to many of the cheap panels from China. What to do? Something should be done, I should report this somewhere, but what government dept would be appropriate? The panel that I purchased was from an Australian business, and they have an obligation not to do false advertising. The problem is the size, 1.1m x 1.1m. I would need a roof rack, and preferably slide it under the rack, so would have to buy a roof rack with 45mm clearance above the roof. Well, there is such a roof rack, but currently that is the only purpose that I have for the roof rack. I plan to create a shelving system in the back of the car, and can have a shelf into which a solar water panel can slide. But the width of the back door is only about 1m, too narrow for the Carocell. So, playing with ideas for building my own. It will be a flat panel, with water trickle-down, through a cloth. I have ordered a special eco-friendly cloth to test, and also have corresponded with a chap in the US who has made a similar type of trickle-down panel. He advised a certain cloth that I could try. I was thinking of making the frame from pine, pure pine, nothing laminated or chipboard. The danger is chemicals evaporating in the hot wet conditions inside the panel. But then, should the wood be left bare, or painted? If painted, same problem with dangerous chemicals. Don't know if anyone will reply. Might have to take a punt on some product. Or, make the frame from aluminium. I put a PayPal "Donate" button onto my "Contact me" page in October 2017. Have now removed it. I have never been comfortable with soliciting donations. In total, since putting in the Donate button, I have received almost US$500, which I appreciate. However, my "age pension" is sufficient to cover expenses for the website and equipment (as well as food, housing, etc.! ), so I really do not need donations. I borrowed a book from the local library, "The road that has no end", by Tim Travis, which details the first leg of their journey, from the USA to Panama. I have not read the second book, which covers the segment from Panama to Argentina. fascinating, they took seven years to get that far, really getting to know each place they went through. A lot of danger too, and in some places the locals hate Americans, due to US military support of dictactorships, and the young couple pretended they were Canadian. A few days ago, I borrowed the third book. I would like to have read the second, but will do so when it becomes available. After Argentina, the young couple, well, not quite so young after seven years, now in approx late 30s, flew back to stay with family in the USA, then decided to change their original plan, flew to Thailand, with the intention of cycling through Cambodia, Vietnam, up to China. Their experiences in Vietnam have brought back sad memories for me. I was in my 12th year of school when conscription was introduced here in Australia. Call-up was by a ballot system, and fortunately I missed out. Anyway, those going onto higher education would have had their call-up deferred. Some members of my class joined the "home guard", forget what it was called, a part-time military service, being a member of was a way of avoiding the military call-up and being sent to Vietnam. The war began in 1965, not sure when compulsory conscription was introduced, but it was in place in 1968 when I reached the 12th year of school. The Vietnam war lasted eight years and killed 57,000 Americans and millions of Vietnamese. It all but destroyed Vietnam, and came pretty close to wreaking America as well, with anti-war protests splitting the country in two. In 1975, two years after the war ended, Communists took over South Vietnam anyway, making the entire ill-conceived adventure for naught. Agent Orange, the defoliant used by Americans to clear away Vietnam's lush greenery to prevent the VC [Viet Cong, the enemy combatants) from hiding. Even today, decades after the war, children are being born with no limbs, curved backs or other disfigurements due to the dioxin in Agent Orange. It's hard to be proud of America's so-called high moral ground after riding through village after village with deformed and crippled children due to their parent's exposure to something paid for by American taxpayers. Growing up in America, studying history in public schools, and watching television, it was never clear to me exactly how the war came to an end. I tried to remember what I was taught about the Vietnam war, but it seemed fuzzy; possibly a tie. Not only did the USA lose, we lost using some pretty underhanded tactics -- another thing that schools do not teach. It is all very sad. More recently, we have the war in Iraq, where the US trumped up a story about "weapons of mass destruction", as they needed an excuse to invade Iraq. More massive bombing. I could go on. But, enough, it is all too depressing. On a bright note, Tim and his wife found the people of Vietnam to be very friendly. Of course, they asked people about their feelings toward Americans, and the general response was of forgiveness. Which reminds me, there was a class action mounted against Tony Blair, Prime Minister of the UK, for war crimes in Iraq, based on the trumped up "weapons of mass destruction", but it was rejected by judges. George W. Bush seems to have been immune from such action. Both men were religious zealots, making "faith based" decisions rather than logical, and not minding using "spin" (often considered to be euphemism for a lie) to achieve their goal of Western-style democracy in the Middle East. Then there was John Howard, our Prime Minister in Australia; I conclude that he was a weak man, who sucked up to Bush and Blair. You might think from reading the above, that I am left-wing. But no, I have always been very conservative, and have tended to vote for the right-of-centre political parties. However, as I became more mature, understood more, I gradually came to understand just how sick the US is, in certain respects, not all. I am not exonerating other countries such as China or Russia either. I know that Americans are patriotic, and that patriotism is for the principles established by the Founding Fathers. They are very noble. But, many things have gone wrong. Partly, I think, it is individuals and corporations having too much power, as per that old saying "Power corrupts, absolute power corrupts absolutely". This started out as a blog post about a young couple cycling around the world, but the book sparked old memories. Enough. Unlikely that I will post anything more about these wars, as there is enough already out there on the Internet. So, signing off, getting back to blogs about Linux, solar power and camping! My last camping trip, early 2019, was to the South Coast of Western Australia, a campsite managed by DPAW (Department of Parks and Wildlife), accessed by a very corrugated dirt road. No water, no power, no phone signal. I loved it. Many who go to these places are fishermen (and women), but as I am a vegetarian, I have wondered what food I could source from the ocean. Shellfish possibly. Some vegetarians consider these OK to eat, as they are barely rated as animals, not having a spinal cord. They are considered to be "plants that move". Hmmm, don't know. Then there's seaweed. Apparently, most of the seaweed that washes up on our shores is edible. I do ask myself, though, if it is edible, why haven't the fish eaten it? 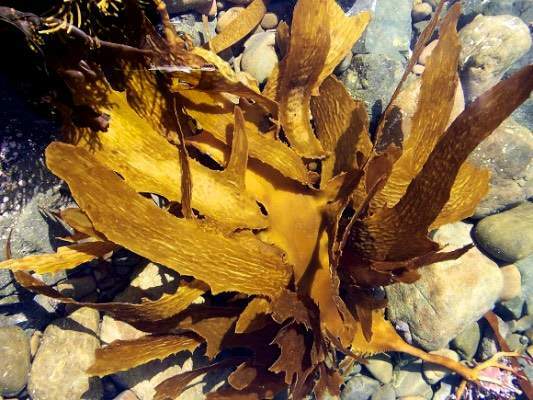 Licenses are required from both the Department of Parks and Wildlife and the Department of Fisheries for personal and commercial collections of live seaweed (an Other Prescribed Purposes Licence). Permission from the relevant land manager/s (e.g. local govern-ment authority) is also required. However, dead beach-cast seaweed is not protected and if only dead sea-weed is being collected and it is not being removed from a marine reserve, then no license or authorisation is required. However, another separate department, the Department of Environment and Regulation should be contacted to ensure that one does not undertake activi-ties that may constitute ‘clearing’ under the Environ-mental Protection (Clearing of Native Vegetation) Regu-lations 2004 made under the Environmental Protection Act 1986. I hunted, could not find information on those licenses. A search of Dept. of Fisheries returned zero hits for "seaweed" ...hmmm. The problem with dead seaweed is that it rots. You would need to be able to identify freshly-dead seaweed. A bit like collecting road-kill! ...what about the "personal enjoyment" category? Puppy Forum member 'scsijon' informed me of a project named "Easy Linux" registered on sourceforge.net. It had been registered many years ago, then nothing done, so a non-starter dead project. I contacted sourceforge and they kindly removed it. However, it got me thinking, EasyOS does need a legal statement page up-front. There is one in the welcome-page at first bootup of Easy, and scattered around in various web pages. ...maybe I should add something about this being a totally non-commercial project? ...because they aren't, they are PWM regulators. An MPPT controller has a distinct advantage, that it draws from the solar panel at it's peak-power point. Say for example, that is 17.5V @ 13A. 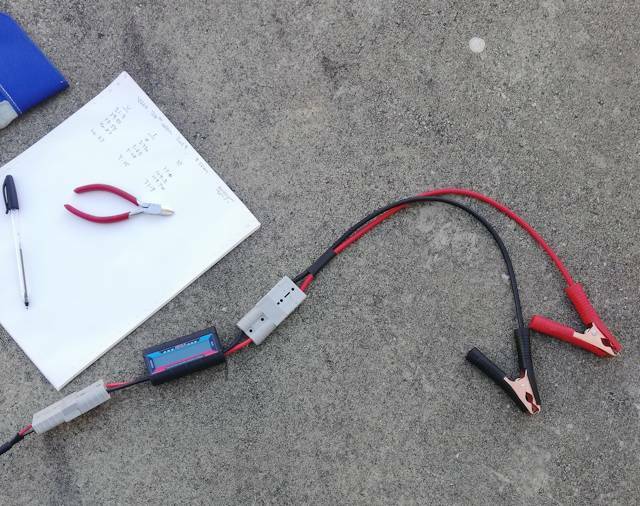 Whereas, the battery voltage, for lead-acid batteries, would be somewhere between 12 and 13.7V, let's say it is 13.2V. 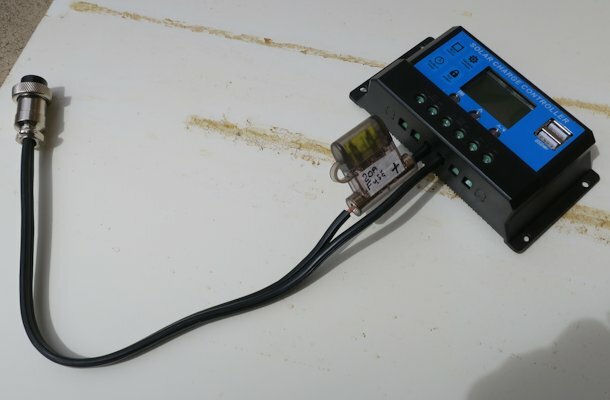 The MPPT regulator will convert to the battery voltage, and charge at a higher current. If the regulator is operating at 100% efficiency, the input power for this example is 17.5x13 = 227.5W (watts). Right, so the output will be 13.2xA = 227.5, where "A" is the amperes. Do the maths, A=17.2. 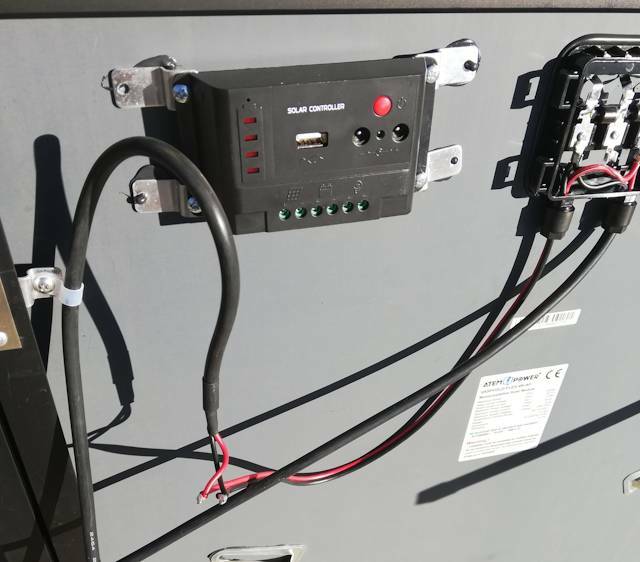 You see, 13 amps coming out of the panel, 17. amps going into the battery. A PWM regulator cannot do this! One downside of the MPPT regulator, is that it does draw some idle-current from the battery, even when the solar panel is not charging. Meaning, if the regulator is attached to the battery, it will be drawing this current 24 hours a day. The bad news is that most of the cheap Chinese solar regulators that claim to be MPPT are not. 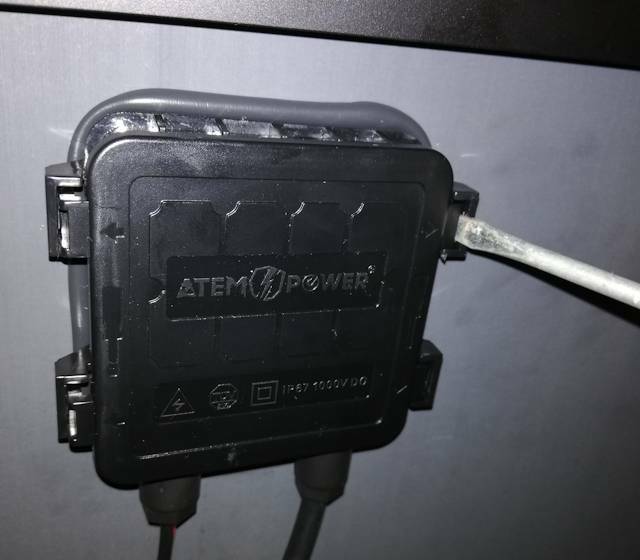 Tests have also shown that the idle current on those that are MPPT, is much higher then claimed, for example 50mA instead of the claimed 5mA. Also, they are not 100% efficient. Some cheap ones claim 99%, however, I very much doubt this. I think, one tester on youtube reported getting about 95%. ...yes, it is a genuine MPPT. Most unfortunately, however, later versions, in the same box, same CPY-2410, have a different internal design and are NOT MPPT! This is the minefield that you have to wend your way through, if you buy one of these. Keen to test these, and find out if they are true MPPT! And test other specs, such as idle-current and efficiency. I have a 120W panel to test with. 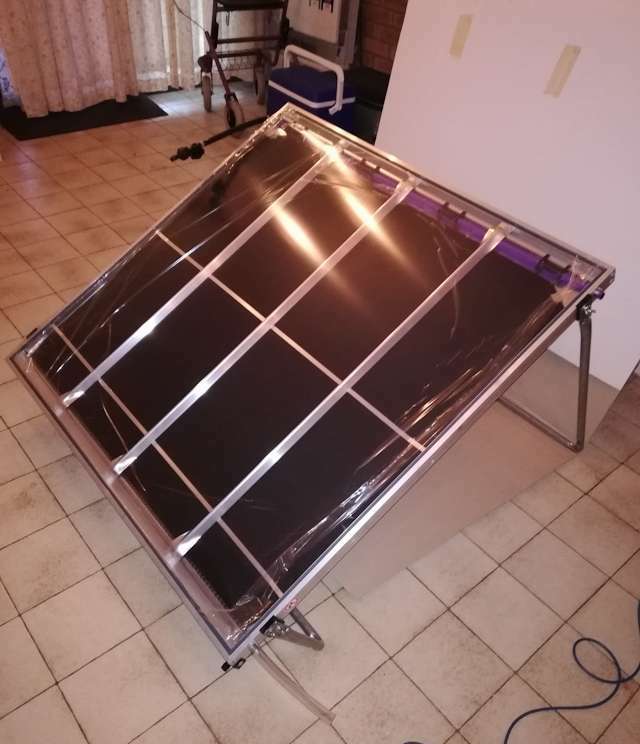 When the 250W panel arrives, will test with that, in fact, that is the one that will be used in future camping trips. But, it puts out up to almost 14A at peak-power point, claimed anyway, which could be up around 18A into the battery ... and perhaps that is flogging the regulator beyond it's capability. Ultimately, might have to go for a 30A or 40A rated MPPT regulator, and one with LCD display, and the cheapest is about AU$170. We shall see, will find out what these cheapees are capable of first.